The lack of affordable housing has been an ongoing issue in Seattle, and the city is hoping the creation of backyard cottages will offset the need. But the Queen Anne Community Council has filed an appeal to the city’s new backyard cottage ordinance, citing concerns over its impact on neighborhoods. Such changes were last proposed by the city in 2016 and successfully appealed by the Queen Anne Community Council, arguing that allowing these units will negatively impact parking and utilities, and undermine the stability of the neighborhood. “If you can imagine having three houses on one site, with no parking requirements… and allow 12 unrelated people to live on one property,” Kaplan said. 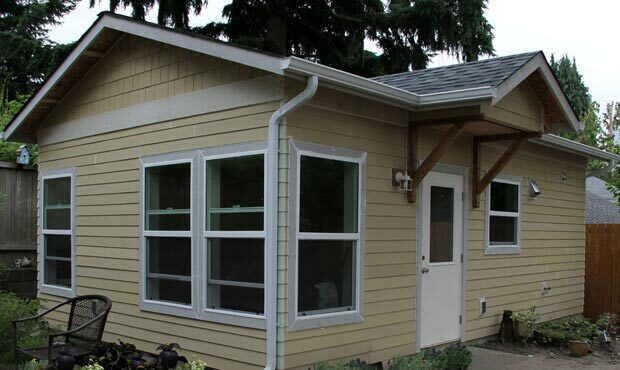 The city is looking to simplify and streamline the process for homeowners to build so-called accessory dwelling units (ADUs) on their properties, known colloquially as backyard cottages or in-law units. Is the City Council not respecting neighborhoods’ individual needs? Kaplan says O’Brien wants to get rid of single-family zoning all together, and is not considering each neighborhood’s individual needs. New regulations are looser in nature and would not require off-street parking, allow ADU construction on smaller lots, and would not require the homeowner to live on-site. The city also released its updated environmental review, which reached the same conclusions as the last one. It argues that such housing will have little negative impact on neighborhoods, with regards to parking, utilities, and aesthetics.